The Little Stranger has all the ingredients for a regular horror movie: An old dark house, an apparently accursed family, a kindly but mystified country doctor, a frightened housemaid, guilty secrets, and macabre occurrences in the hallways. It even has its own morbid poster showing a man wearing a strange, gray, moldy-looking covering over half his face. Sure enough, once we're inside Hundreds Hall the elements click together faultlessly. Dr. Faraday (Domhnall Gleeson), newly assigned to the district, pays a call on the Ayres family at their cobwebby, slightly shabby family seat, in Warwickshire, England, in the summer of 1948. All is not well with the Ayreses. Son and heir Roderick (Will Poulter, in deep character) suffers disfigurements from his wartime injuries with the Royal Air Force. 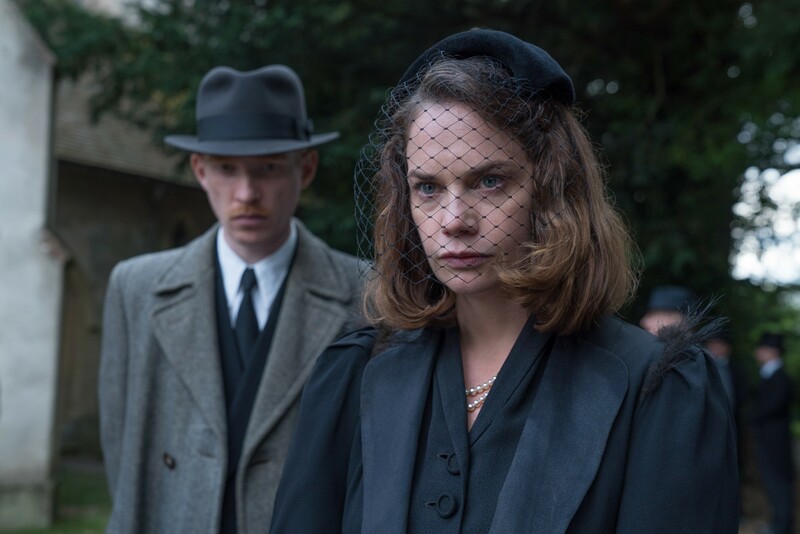 His sister Caroline (Ruth Wilson) is given to mood swings. Their maid (Alison Pargeter) is feeling poorly. Reclusive matriarch (Charlotte Rampling) presides over the family. Meanwhile, the house itself groans and clanks. We soon reach the point at which the story would usually go in either of two directions — as a full-fledged horror freakout with ghosts rattling windows in gloomy rooms, or as a parody of that same ancient stereotype, in which the unfortunate family behaves in unexpected (usually laugh-provoking) ways. Instead, The Little Stranger — directed by Lenny Abrahamson (The Room) from a screenplay by Lucinda Coxon, adapted from a novel by Sarah Waters — opts for a third course built around the doctor, whose late mother, we learn, was once a maid at Hundreds Hall. Seems young Faraday at one time had a thing for the family's youngest daughter, who died mysteriously years ago.